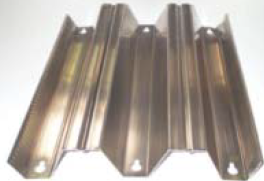 Aluminum Storm Panels, Corrugated, made by BERTHA®, Miami-Dade Hurricane Zone Approved, .050 Thick Aluminum Sheets, 12″ wide or Half Sheet 6″ wide. Choose Length, CUSTOM CUT!!! 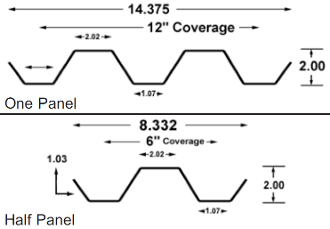 Rib Height Size of 2 1/4″. 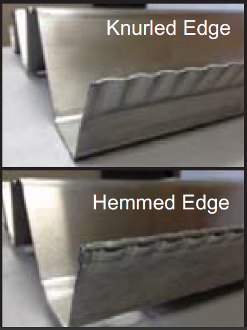 These Aluminum Storm Panels are sold with Knurled Edges for Florida Code,… Hemmed is Texas and Unavailable for pickup in Florida. Shiny on one side, dull Mill Finish on opposite side. This item MUST BE PICKED UP, THERE IS NO SHIPPING. Wait time for orders in Sept. – Nov. is 1 1/2 Weeks!!! Off Season is a Few Days. Length is End to End, not hole to hole. We do not have any random sizes in stock, sold out, sorry. 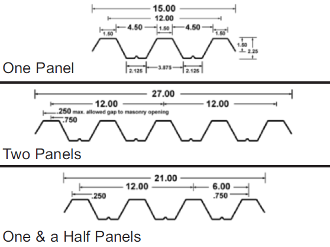 The 12″ aluminum panels are actually 13.375 inches wide, 12″ is the Coverage Distance when overlapped with seperate panels on Both Sides! 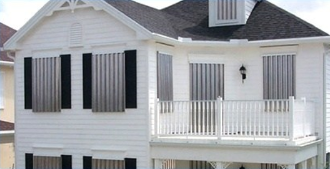 The 6″ aluminum hurricane panels are 8.332 inches Wide each.